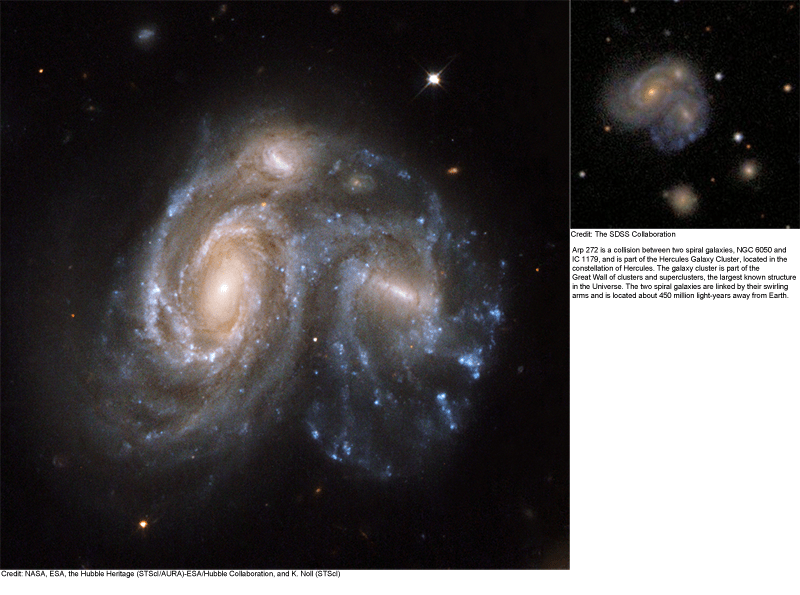 I’m Joel Miller, I’m just about to start year 13 at The Marlborough School, Woodstock, and I am here at Oxford University working on mergers from the Galaxy Zoo Hubble data as part of my Nuffield Science Bursary. 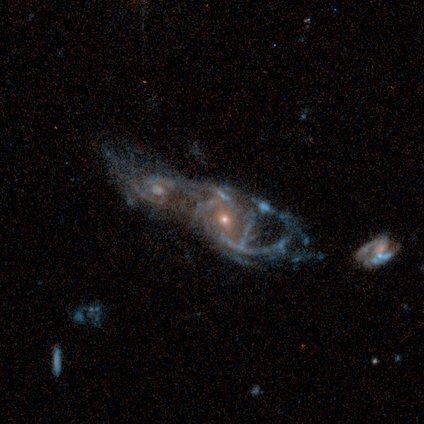 I have/will be looking at the data and plotting graphs to see how the fraction of galaxies which are mergers changes with other factors therefore determining if there is a correlation between these factors and galaxy mergers. 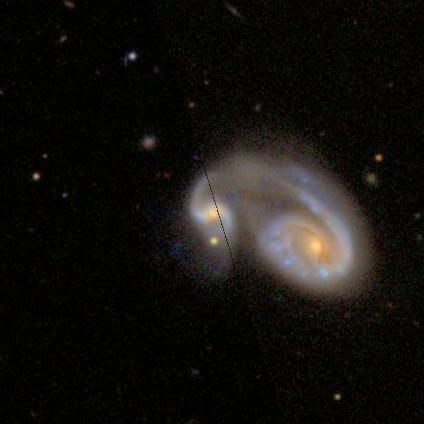 Having looked though many images of merging galaxies I found some really amazing ones. 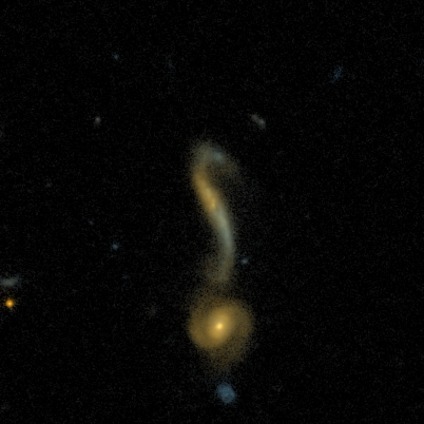 With some of the images from the SDSS I was able to find high-res HST images of the same galaxy and also find out some more information about them. 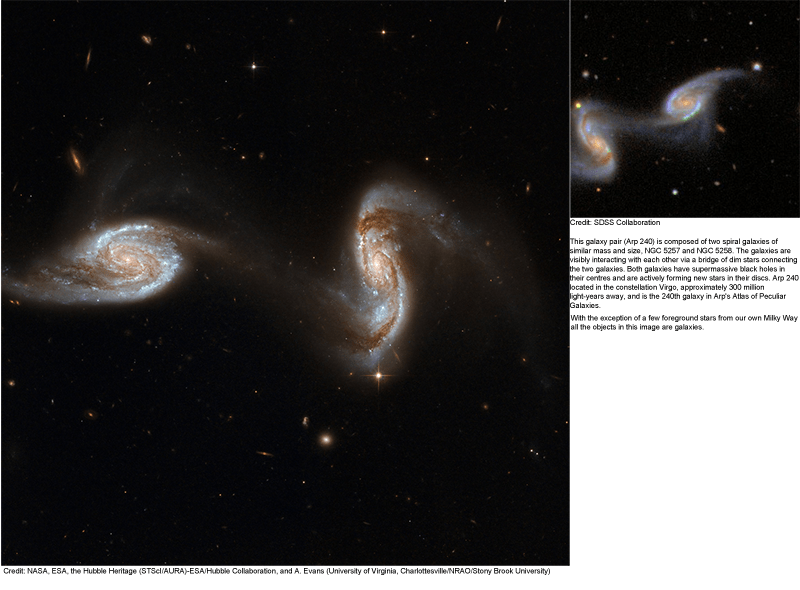 Spiral Galaxies NGC 5278 and NGC 5279 (Arp 239) in the Constellation of Ursa Major form an M-51-like interacting pair. This group is sometimes called the “telephone receiver”. 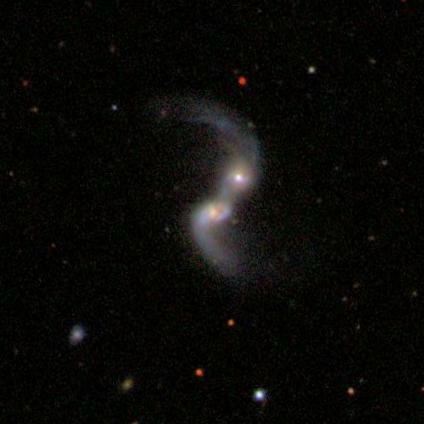 The galaxies are not only connected via one spiral arm like M-51, but they also have a dimmer bridge between their disks. 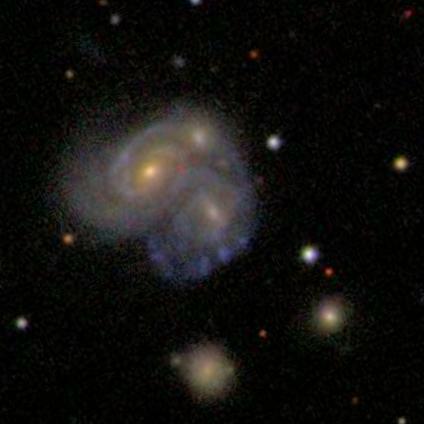 Spiral galaxies UGC 8671 and MCG +9-22-94 do not have measured red shifts and therefore there is no data on their distances. 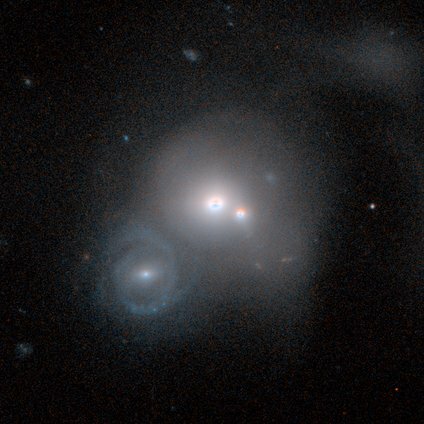 They may well be a part of a small cluster of galaxies that includes the “telephone receiver”, but this is not determined at this time. 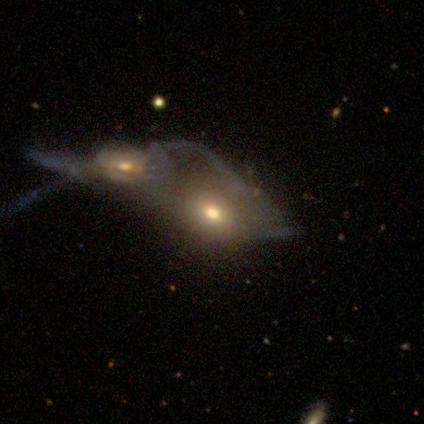 NGC 5331 is a pair of interacting galaxies beginning to “link arms”. There is a blue trail which appears in the image flowing to the right of the system. 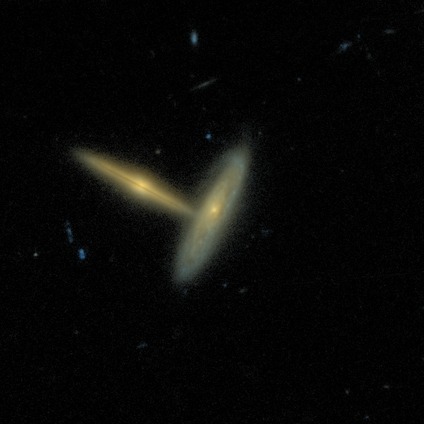 NGC 5331 is very bright in the infrared, with about a hundred billion times the luminosity of the Sun. 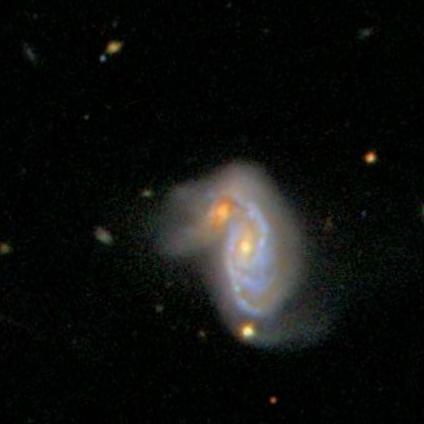 It is located in the constellation Virgo, about 450 million light-years away from Earth. 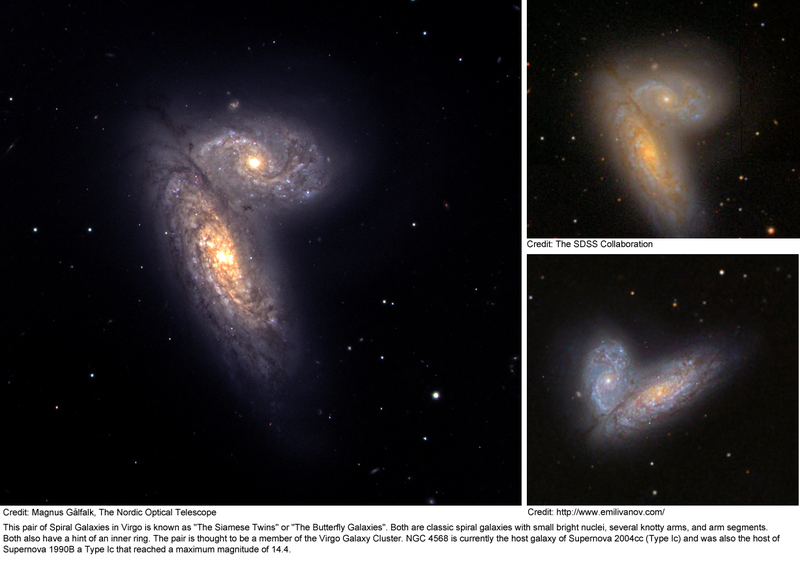 This pair of Spiral Galaxies in Virgo is known as “The Siamese Twins” or “The Butterfly Galaxies”. 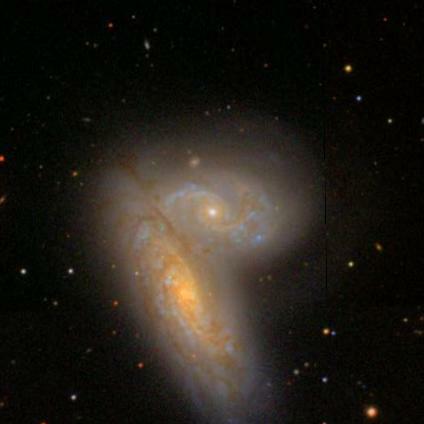 Both are classic spiral galaxies with small bright nuclei, several knotty arms, and arm segments. Both also have a hint of an inner ring. 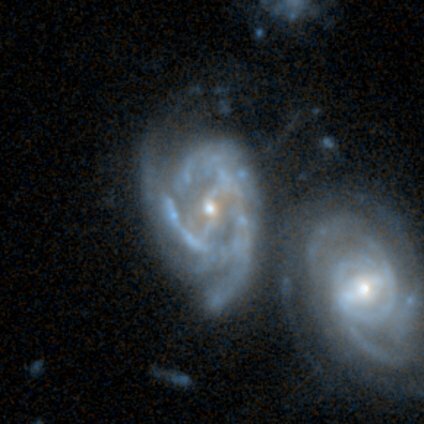 The pair is thought to be a member of the Virgo Galaxy Cluster. 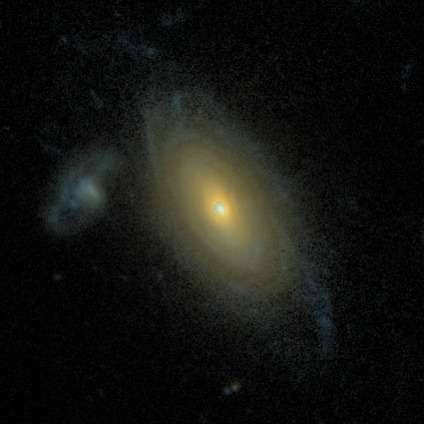 NGC 4568 is currently the host galaxy of Supernova 2004cc (Type Ic) and was also the host of Supernova 1990B a Type Ic that reached a maximum magnitude of 14.4. 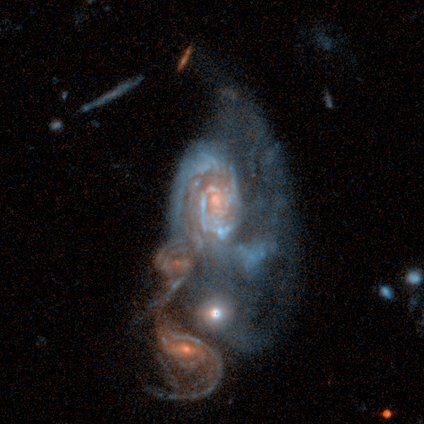 Arp 272 is a collision between two spiral galaxies, NGC 6050 and IC 1179, and is part of the Hercules Galaxy Cluster, located in the constellation of Hercules. 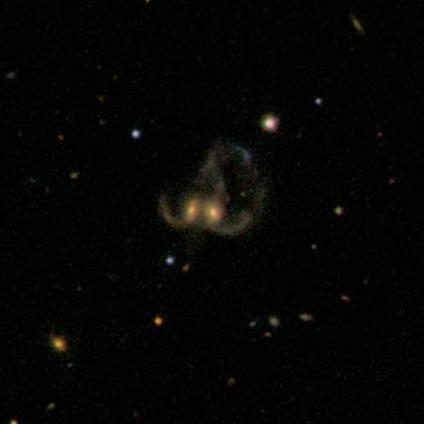 The galaxy cluster is part of the Great Wall of clusters and superclusters, the largest known structure in the Universe. 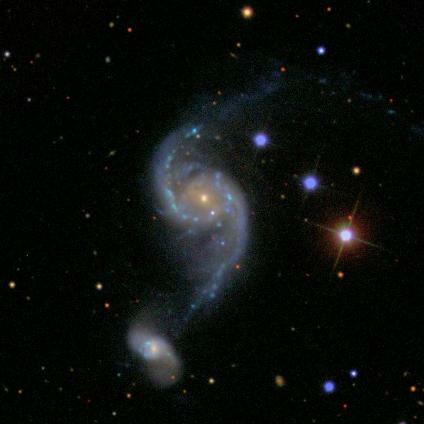 The two spiral galaxies are linked by their swirling arms and is located about 450 million light-years away from Earth. This galaxy pair (Arp 240) is composed of two spiral galaxies of similar mass and size, NGC 5257 and NGC 5258. 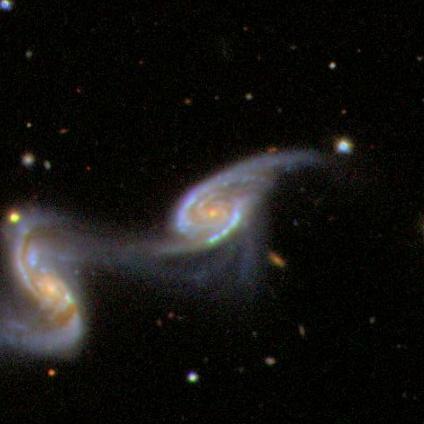 The galaxies are visibly interacting with each other via a bridge of dim stars connecting the two galaxies. 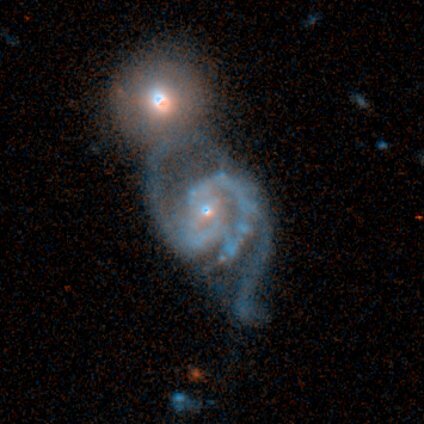 Both galaxies have supermassive black holes in their centres and are actively forming new stars in their discs. 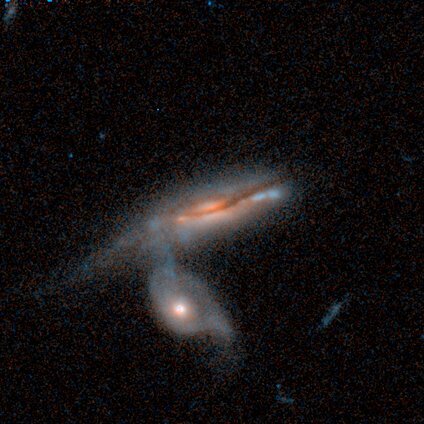 Arp 240 is located in the constellation Virgo, approximately 300 million light-years away, and is the 240th galaxy in Arp’s Atlas of Peculiar Galaxies. 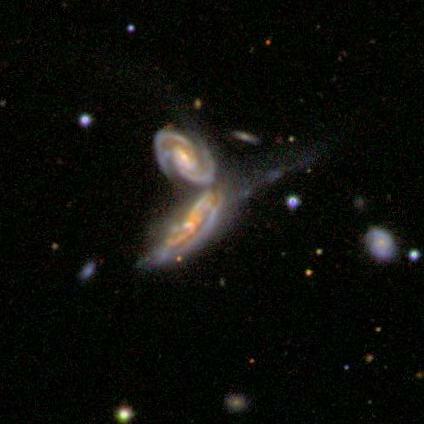 With the exception of a few foreground stars from our own Milky Way all the objects in this image are galaxies. Haha, brilliant. 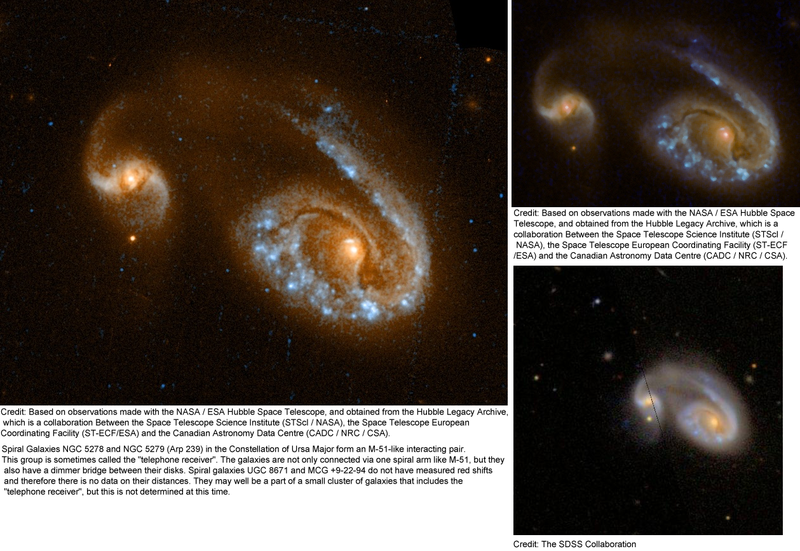 Your first image is a double-merger (one in the foreground, one in the background) in the GEMS dataset, that we have been using for years as an example for the data. Glad someone else picked it up now. 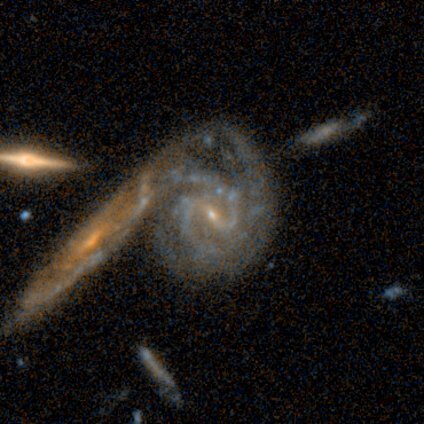 I see 5 in the first merger .Is that not an edge on galaxy at the top?